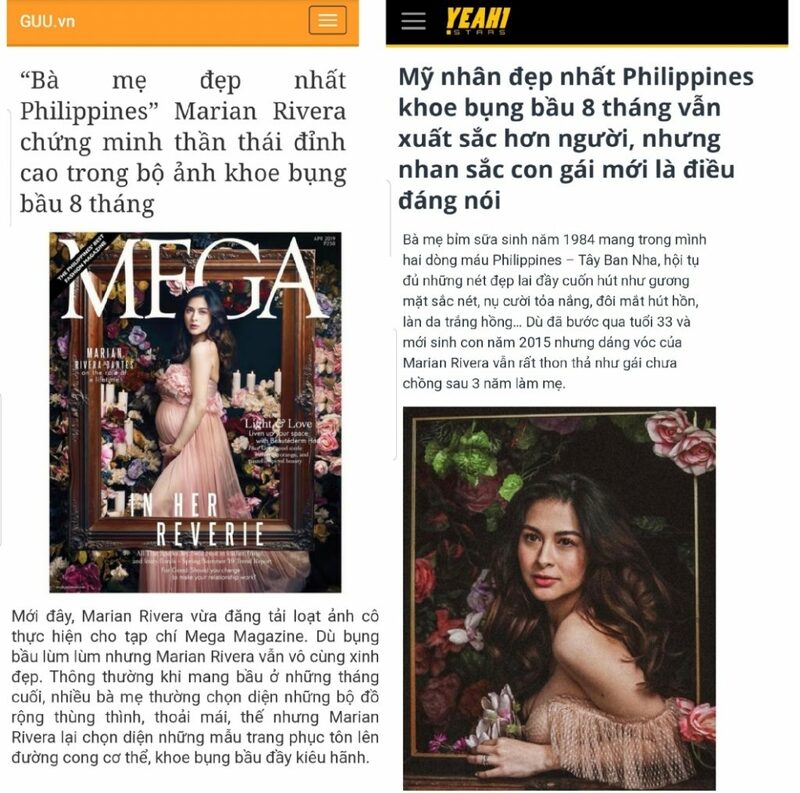 Marian Rivera’s photoshoot is not only making headlines in Philippines but also in countries like Vietnam and Malaysia. Here’s a translation provided by the DongYanatics Vietnam. “Primetime Queen Marian Rivera-Dantes has released cool photos before she gives birth to her baby boy. Primetime Queen Marian Rivera and her husband Dingdong Dantes did their maternity shoot before the actress gives birth to their second baby. The Philippines press observed that those shots are beautiful and impressive. Philippines’ ABS page posted a series of new photos of Marian Rivera and her husband Dingdong Dantes on April 7. The photos were taken on February 21. According to Marian, it’s her last photoshoot before she gives bir9th to her baby boy. Primetime Queen Marian Rivera sat on a motorcycle for her maternity shoot before she gives birth. Marian Rivera doesn’t stop renewing herself. She is always shining even when she is last month pregnant. In these photos, the beauty is praised the most beautiful actress on Philippines TV she in a motorcycle while wearing jacket with matching a bra. Before giving birth to baby boy, Primetime Queen did her shoot with husband Dingdong Dantes and daughter Zia. The actress revealed she is eagerly anticipating the birth of her second baby. “My dream of becoming a mother and having my own big family is unfolding one by one.” Now that Marian is in her last trimester, she will give birth this April. Marian Rivera revealed she will take a break from her showbiz commitment after giving birth to take care of her own family is Marian Rivera’s secret to a healthy pregnancy. Marian Rivera said, to her, pregnancy is a blessing. She doesn’t want to look at it as a sacrifice as if you’re giving something up in exchange of it. To her, it’s a beautiful and magical experience to be able to bring life to the world. The most beautiful woman shared that being a mother made her love herself and her life more. The most beautiful mom flaunts her baby bump at her last month of pregnancy pregnancy.